by McLeod, Christopher, Valentine, Peter, Wild, Robert. 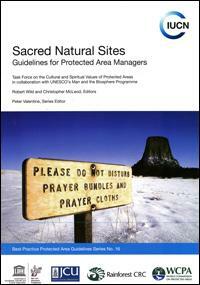 Sacred sites are the oldest form of protected areas and many of them are very important biodiversity reservoirs. This book will help conservation professionals and the custodians of sacred sites interested in the role of cultural and spiritual values in nature conservation to ensure the long-term survival of such valuable sites.